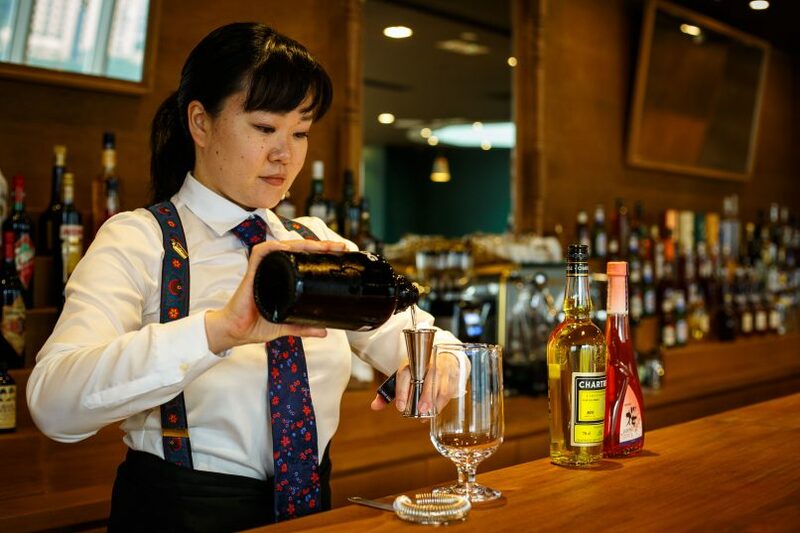 Watch your drinks being made at the bar made from Japanese walnut. 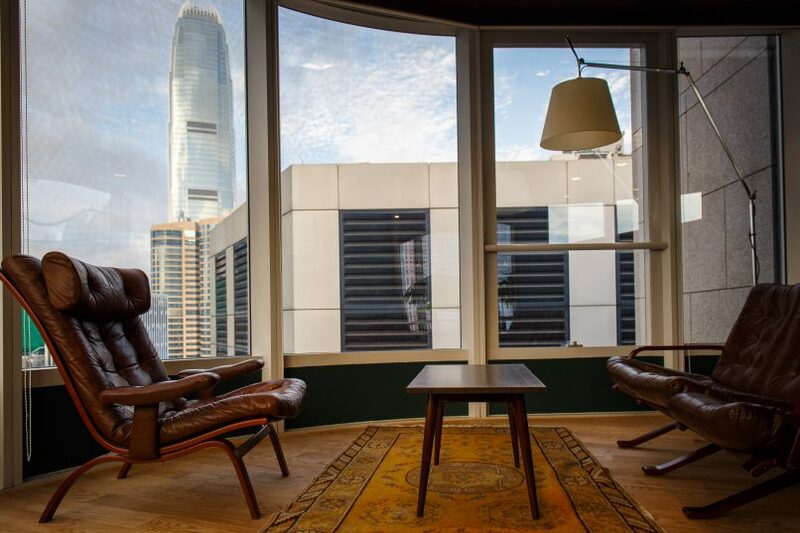 Enjoy views of the city from Bar De Luxe. The 1,500-square-foot space is quite a handsome place to enjoy cocktails made in the Japanese style. Guests can sit at the bar crafted from Japanese walnut to watch their drinks being made before them, or unwind at one of the window-facing tables to take in views of the Hong Kong skyline from the 30th floor. From noon to 5pm Monday–Saturday, the bar will serve Italian coffee and light refreshments to Attire House’s guests, who may be visiting to buy a bespoke suit or get groomed at the in-house barber shop. After 5, evening drinks and signature snacks will be offered. Yuriko Naganuma is a protégé of Hidetsugo Ueno himself. The list of 16 signature cocktails includes a Bloody Mary made with infused vodka and Japanese tomato (HK$238), the Herbal Terrace made with gin, green chartreuse, shiso liqueur and lime juice (HK$148), and The Hidden Gem (Yuriko-san’s own creation) made with Nikka from the Barrel whisky, a Japanese herbal liqueur, Averna and sugarcane syrup (HK$168). 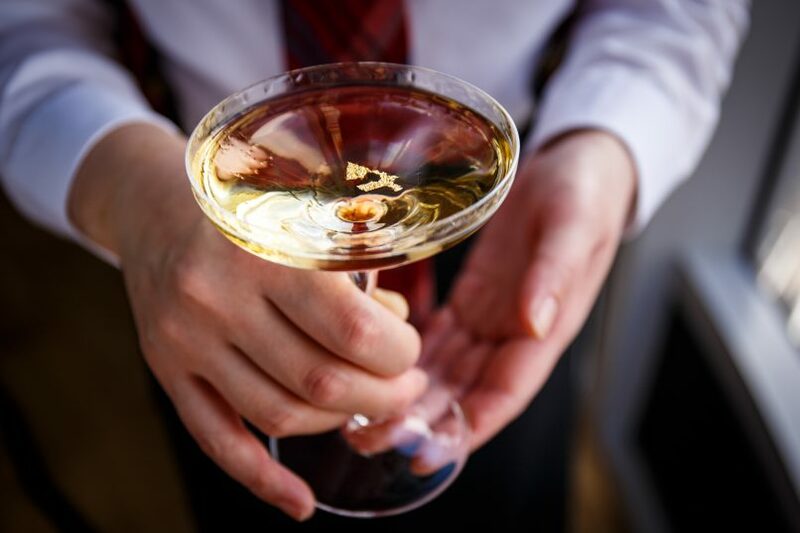 Guests can also request any drink they like, or ask for something made using some of the bar’s specially curated, rare selection of wines and spirits. Top-notch cocktails made in the Japanese style are a highlight of Bar De Luxe. Typical bar bites such as cheese and olives are available, though the other edible treats sound more exciting. They include lomo and foie gras (HK$168), grilled bread crumbs with anchovy (HK$138), and Iberico ham from Bellota Bellota HK$98–$318). 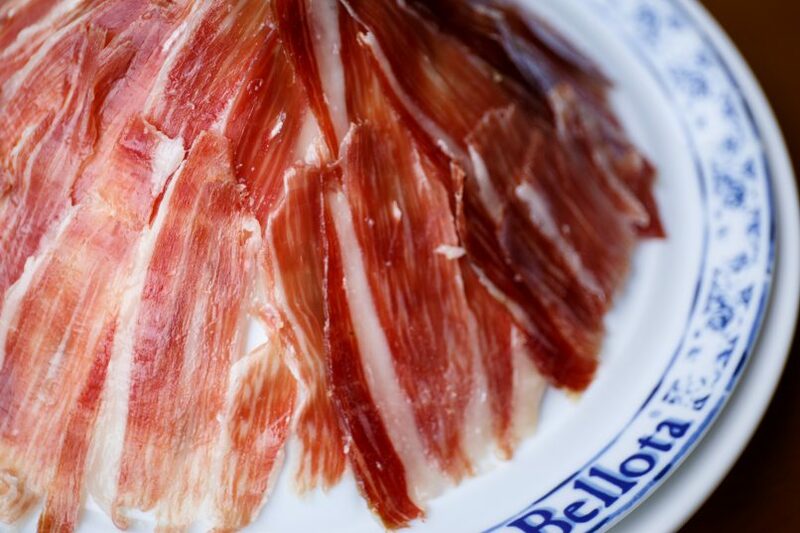 Exquisite ham from Bellota Bellota pairs well with cocktails. Bar de Luxe is Ueno-san’s first permanent project outside of Japan, which makes this Hong Kong newcomer particularly exciting. As a special treat, the man himself will be making drinks at Bar de Luxe in the evenings of 23–25 January, so be sure to put that in your diary now. 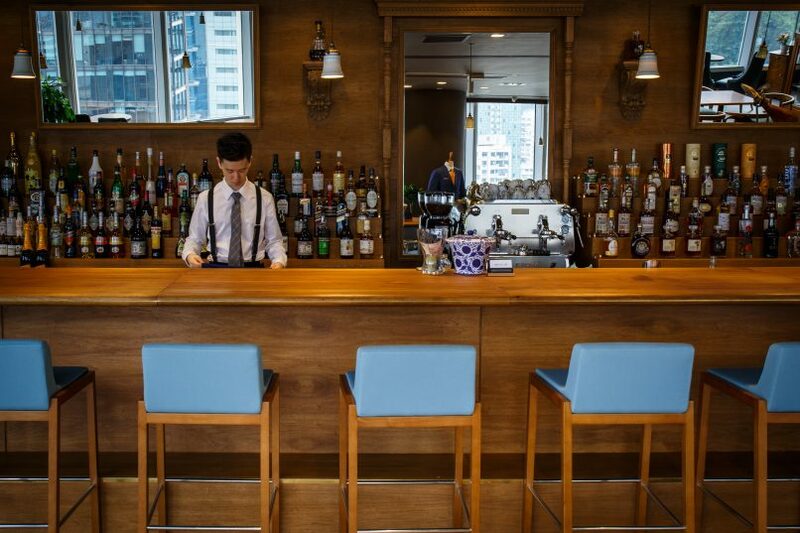 Watch your drinks being made at the bar crafted from Japanese walnut. Given the calibre of everything we experienced at the Bar High Five pop-up in September, we have high hopes for everything at Bar de Luxe. With a capacity of just 48 guests, we suspect it will be an intimate spot for enjoying top-notch drinks and beautiful views of the city. A Chicagoan by birth and a New Yorker by habit, Michael has more than a decade of experience in digital publishing at leading titles in the U.S. and Asia. When he's not checking out Hong Kong's newest restaurants and bars or jet setting around the globe, you'll find him hanging out with his dog Buster and enjoying an Aperol Spritz.